On 26th of April 2018 National Shakespeare Competition supported by deputy Oleksandr Horbunov was held in Volodymyr Vynnychenko Central Ukrainian State Pedagogical University. The competition started with a minute of silence in memory of Margarita Danilko, Chairman of the ESU Ukraine, President of the International Council, who suddenly passed away. Traditionally the participants amazed the audience with impressive performances, love to great words of Shakespeare and intense desireto get victory. 27 semi-finalists recited euphonious lines from William Shakespeare`s sonnets and the jury chose 9 reciters for the great final. The final of the competition was emotional and interesting. Every participant tried his best to succeed. The jury announced the winners of National Shakespeare Competition 2018 and all the competitors were awarded with certificatesof participation and presents. The 3rd place was given simultaneously to 2 participants: Vadym Bilodid (Haivoron Polytechnic College, third-year student) and Anna Ohlobiak (Gymnasium of New Teaching Technologies, Kropyvnytskyi, 10th Form). The runner-up was Daria Puchnina (Central Ukrainian State Pedagogical University, first-year student). As the winner of the competition Olena Dzhus was chosen (Central Ukrainian State Pedagogical University, 2nd Year student). For Olena Dzhus this victory is not a happy occasion, it is a result of many years training and self-development, because it is her third attempt to win the mountain top, which name is National Shakespeare Competition. The winner considers this competition as a perfect possibility to overcome fear, express your emotions, show your own vision of classical sonnet and just get pleasure of socializing with talented youth. Every year National Shakespeare Competition attracts talented reciters who demonstrate that the sonnets of great English classic can be modern, stylish and interesting. Congratulations to the winners of the English-Speaking Union Ukraine Shakespeare Competition 2018! We highly appreciate all the efforts made by the participants and wish them every success in their future endeavors! The date of National Shakespeare Competition 2018 is changed! 26 квітня 2018 року відбудеться Всеукраїнський конкурс читців сонетів Уільяма Шекспіра, який проводить громадська організація Спілка англійської мови в Україні серед учнів та студентів середніх та вищих закладів освіти. Конкурс розпочнеться о 10.00 у науковому залі бібліотеки ЦДПУ імені Володимира Винниченка. Конкурс проходитиме за підтримки народного депутата України Горбунова О.В. Запрошуємо всіх бажаючих насолодитися красою поетичної мови У.Шекспіра. The ESU Ukraine is delighted to announce the semi-finalists of the National Shakespeare Competition 2018! (1 Shevchenko Street, 2 Floor). Registration is at 10.00 a.m.
All the participants are reciting a sonnet different from that one presented at Round 1. We invite pupils and students to join us for the 2018 ESU Ukraine Shakespeare Competition! The 2018 English-Speaking Union Ukraine Shakespeare Competition will take place on 1-24 April 2018 at Central Ukrainian State Pedagogical University. The Competition is open for 10-11 form school pupils and 1-6 year of studying university students. Make a video presentation of one sonnet and save it on Youtube. Take the sonnet only on the site. Download an application formfrom the ESU web-site (http://www.esu-ua.org.ua Heading “Our Projects”, Shakespeare Competition). Fill in the form, indicating the reference to the video presentation on Youtube. Send the application form with a link on the presentation in Youtube by email to esu.ukraine@yahoo.com. Write your surname as the name of the document. The Deadline for application forms and video presentations is 1 April, 2018. The results of Round 1 will be announced on 10, April 2018 on the ESU site http://www.esu-ua.org.uaand semi-finalists will be invited to take part in the final of the competition. Semi-finalists learn and recite a different sonnet by W. Shakespeare in the final stage of the competition. It will be held on 24April 2018. Music accompaniment is not allowed. Presentations, which do not meet the above mentioned requirements, will not be taken into consideration. Through the Shakespeare Competition students develop communication skills and an appreciation of the power of the English language and literature. Get engaged in an interactive, performance-based study of the English literature. Participate in the close reading of Shakespeare's text through intellectual, physical and vocal engagement. Develop critical thinking and close reading skills. Increase their self-confidence with public-speaking. Discover and explore the beauty of complexity of Shakespeare's poetic language and classic themes. Bring the timeless works of Shakespeare to life and learn to express his words with understanding, feeling and clarity. Communication is the backbone of our society. It allows us to form connections, influence decisions, and motivate change. Without communication skills, the ability to progress in the working world and in life would be nearly impossible. Public speaking is one of the most important forms of communication. It can help anyone build a great career and succeed. On January 27th America House in Kyiv warmly welcomed the semi-finalists of the National Public Speaking Competition organized by the English-Speaking Union Ukraine. It was an incredible opportunity to make our voices heard, exchange ideas, meet interesting people and expand our horizons. The event consisted of two stages. First, 19 amazing young people from all over the country delivered their prepared speeches on the topic “Art has no borders” and answered the questions from the audience, judges and the Question team afterwards. Everyone interpreted the theme in a unique, extraordinary way. To be honest, I find it fascinating how every individual has a different understanding and perception of the world. The second stage was the final: 8 participants were selected to present impromptu speeches. We had only 10 minutes for preparation and 3 minutes to share what we have to say. All the finalists did a fantastic job and successfully coped with this task. Some performances truly took my breath away. After an intense discussion the judges finally announced Karyna Kovalchuk as the audience choice winner, Ihor Kryvyi as the runner-up and me as the winner of NPSC 2018! I was so surprised and couldn’t even believe that my dream is coming true and I will represent Ukraine in London this May. Despite the intense spirit of NPSC, it was a pleasurable and enriching experience. During the breaks public speakers got to know each other better while having a cup of coffee together. It was so enjoyable to meet like-minded people. The judges were also very friendly and happily gave personal feedback to the participants after the competition. The National Public Speaking Competition is a great chance to build self-confidence, discover the art of persuasion, get inspired and overcome your own barriers. About 90% of the world’s population are afraid of delivering speeches in front of large audiences, so nerves on the stage are completely normal. It’s hard to avoid them no matter how much you have prepared, but the most amazing thing about taking part in the NPSC is learning how to express your thoughts in spite of your fears. I want to thank sincerely all the English-Speaking Union members for organizing this life-changing contest, the winners of the previous years for being a fantastic Question team, the judges for making their time to come and evaluate us and, of course, the participants for sharing their opinions - I have enhanced my knowledge in many fields while listening to their speeches. This competition proves that public speaking gives a glance into the borderless future created by us - young people that believe in their dreams. I highly recommend everyone to try next year and here is advice from me: be exactly who you are, have courage to speak up for your values, believe in yourself and break your borders! The Semi-Final and the Final of the NPSC was held on Saturday, 27 January, 2018 at America House, Kyiv. The competition is organized annually by the English-Speaking Union Ukraine. Ukrainian students aged between 16 and 20 in full-time education took part in the competition. Talented orators from different cities of Ukraine came to Kyiv to demonstrate their high standard of the English public speaking skills. They competed for the main prize - to represent Ukraine in the International Public Speaking Competition that will run in London in May 2018. 19 semi-finalists represented Ivan Franko Lviv National University, Kyiv National University “Kyiv Mohyla Academy”, National Technical University of Ukraine ”Igor Sikorsky Kyiv Polytechnic Institute”, Kyiv National Economic University, Ternopil National Pedagogical University, Ternopil classical gymnasium, Dnipro secondary school № 10, Kropyvnytskyi Pedagogical lyceum and secondary school № 6 and Central Ukrainian State Pedagogical University. The general theme of the Semi-Final was “Art has no borders”. In 5 minutes the speakers interpreted the theme in any way they saw it, but they were not allowed to use it as the title of the speech. Every presentation was inspiring, emotional and persuasive and the understanding of the topic was unique and creative. Each speech was followed by the questions from the members of the “Question team, audience and the judging panel. The speeches were assessed by honourable adjudicators, who were Dr Lucia Dumont Renard, the former ESU International Council President and current Vice-President of ESU France, Michael Hudson, a teacher trainer and Senior Academic Consultant at Dinternal Education, a Fulbright English Teaching Assistant Elizabeth Fawcett, Marina Malygina, Area Manager at Pearson Education, and Anastasiya Vynnychenko, a Project Manager at the International Organization for Migration. Eight best speakers proceeded to the Final where they delivered impromptu speeches. They chose their topics 10 minutes in advance of giving their speech and were allocated 2-3 minutes to deliver it. Due to the fantastic technical support of America House, everyone could see on the screen how the contestants were preparing for their impromptu speeches in another room. After all the presentations the judges named the winner Anastasiia Rohova from Kyiv National Economic University, the runner up was Ihor Kryvyi from Ternopil National Pedagogical University and the audience choice winner became Karyna Kovalchuk, a student from Central Ukrainian State Pedagogical University. The competition was held on a very high level and it was full of unforgettable experience and great memories for everyone involved. The organization of the competition was excellent, that proves the high professionalism of the ESU Ukraine organizers and America House staff. Every participant received a Certificate of Honour in recognition for their outstanding performances. Dr Margaryta Danilko, the Chairman of the ESU Ukraine, awarded the winners with the prizes and Dr Lucia Dumont, the Vice-President of the ESU France, presented them with some French souvenirs. NPSC gives young people practical experience in the fundamental skills of public speaking and it provides them with a platform to express their views about the world and their dreams for the future. Obviously, not everyone who enters the competition wins. However, it is time spent learning, growing and making friends! The competition journey is a process, any success or failure is just another stepping stone to the next point along the way. Audience choice - Karyna Kovalchuk, Kropyvnytskiy CSPU. The English-Speaking Union Ukraine has great pleasure in announcing the National Essay Writing Competition 2018, that starts on January 20, 2018 and ends on March 30, 2018. The competition is open to the Ukrainian students aged 16-22. Explore possible changes in infrastructure, education and culture and how they can affect you. Give examples connected with your current place of living. The Deadline for submitting an essay is March 30, 2018. The essay must be written in English. Your writing should be based on the structure of a personal opinion essay. The word counts are 500-600 words. The essay must be typed with double spacing, 14 point Times New Roman. Your last name should appear in the upper right corner of each page of your essay. The essay must be inventive and original, clearly and concisely written. We want to hear your individual voice, representing your own research and ideas. If a quotation is used, be sure to identify the source of information. Plagiarism will result in disqualification from this and any future English-Speaking Union Competitions. To apply for competition the student must fill in a registration form (take the form on the Website: http://www.esu-ua.org.ua). The results of the National Essay Writing Competition 2018 will be announced in April 2018 on the website http://www.esu-ua.org.ua. The winners will be awarded. Please, feel free to contact us in case of any questions. 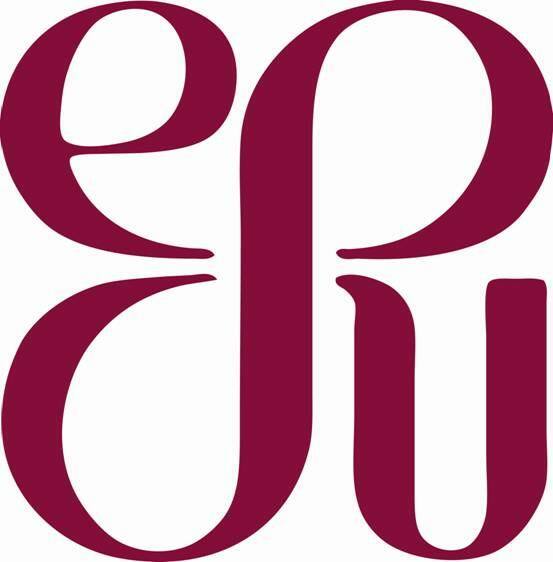 The ESU Ukraine, Room 706, Faculty of Foreign Languages, Central Ukrainian State Pedagogical University, 1, Shevchenko Street, Kirovograd, 25006, Ukraine. Copyright © ESU Ukraine All Rights Reserved.